Norman Rockwell's heartwarming illustrations of American life appeared on covers of the Saturday Evening Post magazine for many years. When people use the expression "as American as apple pie," they could just as well say "as American as a Norman Rockwell painting." Norman Perceval Rockwell was born on February 3, 1894, in New York City, the first of Jarvis Waring Rockwell and Nancy Hill's two sons. His father worked for a textile firm, starting as office boy and eventually moving up to manager of the New York office. His parents were very religious, and the young Rockwell sang in the church choir. Until he was about ten years old the family spent its summers at farms in the country. Rockwell recalled in his autobiography (the story of his own life) My Adventures as an Illustrator, "I have no bad memories of my summers in the country." He believed that these summers "had a lot to do with what I painted later on." Rockwell enjoyed drawing at an early age and soon decided he wanted to be an artist. During his freshman year in high school, he also attended the Chase School on Saturdays to study art. Later that year he attended Chase twice a week. Halfway through his sophomore year, he quit high school and went full time to art school. started his career in figure drawing from the bottom up." At the Art Students League, Rockwell was strongly influenced by his teachers George Bridgeman, who helped him excel in his drawing skills, and Thomas Fogarty, who passed on his enthusiasm for illustration to Rockwell. While Rockwell was still at the school, Fogarty sent him to a publisher, where he got a job illustrating a children's book. He next received an assignment from Boys' Life magazine. The editor liked his work and continued to give him assignments. Eventually Rockwell was made art director of the magazine. He worked regularly on other children's magazines as well. "The kind of work I did seemed to be what the magazines wanted," he remarked in his autobiography. In March 1916 Rockwell traveled to Philadelphia, Pennsylvania, to see George Horace Lorimer, editor of the Saturday Evening Post. It was Rockwell's dream to do a Post cover. Since he did not have an appointment, he showed his work to the art editor, who then showed it to Lorimer. The editor accepted Rockwell's two finished paintings for covers as well as three sketches for future covers. Rockwell's success with the Post made him more attractive to other magazines, and he began selling paintings and drawings to Life, Judge, and Leslie's. Also in 1916 he married Irene O'Connor, a schoolteacher. In 1917, shortly after the United States entered World War I (1914–18; a war fought between German-led Central Powers and the Allies: England, the United States, Italy, and other nations), Rockwell joined the navy and was assigned to the camp newspaper. Meanwhile, he continued painting for the Post and other publications. After the war Rockwell started doing advertising illustration, working for Jell-O, Willys cars, and Orange Crush soft drinks, among others. In 1920 he was hired to paint a picture for the Boy Scout calendar. (He would continue to provide a picture for the popular calendar for over fifty years.) During the 1920s Rockwell's income soared. In 1929 he was divorced from his wife Irene, and in 1930 he married Mary Barstow, with whom he had three sons. In 1939 the family moved to a sixty-acre farm in Arlington, Vermont. In 1941 the Milwaukee Art Institute gave Rockwell his first one-man show in a major museum. After President Franklin Roosevelt (1882–1945) made a speech to Congress in 1941 describing the "four essential human freedoms," Rockwell created paintings of the four freedoms: Freedom of Speech, Freedom of Worship, Freedom from Want, and Freedom from Fear. He completed the paintings in six months in 1942, and they were published in the Post in 1943. The pictures became greatly popular, and many other publications asked the Post for permission to reprint them. The federal government also took the original paintings on a national tour to sell war bonds. As Ben Hibbs, editor of the Post, noted in Rockwell's autobiography, "They were viewed by 1,222,000 people in 16 leading cities and were instrumental in selling $132,992,539 worth of bonds." In 1943 Rockwell's studio burned to the ground. He lost some original paintings and drawings as well as his large collection of costumes. He and his family then settled in nearby West Arlington, Vermont. Rockwell worked on special stamps for the Postal Service as well as posters for the Treasury Department, the military, and Hollywood movies. He also did illustrations for Sears mail-order catalogs, Hallmark greeting cards, and books such as The Adventures of Tom Sawyer and The Adventures of Huckleberry Finn. In 1953 Rockwell and his family moved to Stockbridge, Massachusetts. In the summer of 1959, his wife Mary suffered a heart attack and died. In 1961 he married Molly Punderson, a retired schoolteacher. Also in 1961 Rockwell received an honorary (obtained without meeting the usual requirements) Doctor of Fine Arts degree from the University of Massachusetts as well as the Interfaith Award of the National Conference of Christians and Jews for his Post cover painting of the Golden Rule. Rockwell's last Post cover (he did three hundred seventeen in all) appeared in December 1963. The magazine's circulation was shrinking at that time, and new management decided to switch to a new format. Rockwell continued painting news pictures for Look and contributing to McCall's. In 1969 Rockwell had a one-man show in New York City. Critics were usually unkind toward Rockwell's work or ignored it completely, but the public loved his paintings, and many were purchased for prices averaging around $20,000. Thomas Buechner wrote in Life, "It is difficult for the art world to take the people's choice very seriously." In 1975, at the age of eighty-one, Rockwell completed his fifty-sixth Boy Scout calendar. In 1976 the city of Stockbridge celebrated a Norman Rockwell Day. On November 8, 1978, Rockwell died in his home. In 1993 a new Rockwell museum was opened near Stockbridge. Museum director Laurie Norton Moffatt listed all of Rockwell's works in a two-volume book; according to Landrum Bolling of the Saturday Evening Post, the total exceeded four thousand original works. In November 1999 an exhibit of Rockwell's work entitled "Norman Rockwell: Pictures for the American People" opened at the High Museum of Art in Atlanta, Georgia. Buechner, Thomas S. Norman Rockwell, Artist and Illustrator. New York: H. N. Abrams, 1970. 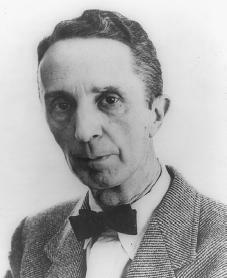 Claridge, Laura P. Norman Rockwell: A Life. New York: Random House, 2001. Moline, Mary. Norman Rockwell Encyclopedia: A Chronological Catalog of the Artist's Work 1910–1978. Indianapolis: Curtis, 1979. Rockwell, Norman. Norman Rockwell, My Adventures as an Illustrator: An Autobiography. Indianapolis: Curtis, 1979. Reprint, New York: Abrams, 1988. Walton, Donald. A Rockwell Portrait. Kansas City, KS: Sheed Andrews and McMeel, Inc., 1978. My mom always had a collection of his works, and still does, hanging on her living room wall. I always loved sitting on the couch looking at them. I first saw one of his works in a school text book. i think it was called "After the Prom" from 1957. I have a copy of it in my house.